Antoni Arola considers Palma as if it were a landscape project that will be transformed over time, once the designer has fi nished the fi rst part of the job. The capacity for Palma to create ambience within an interior setting increases with its growth like a luminous hanging garden. The classic globe, slightly flattened here evolves towards a more organic form and the suspended version with an almost imperceptible cable support accentuates the floating sensation. 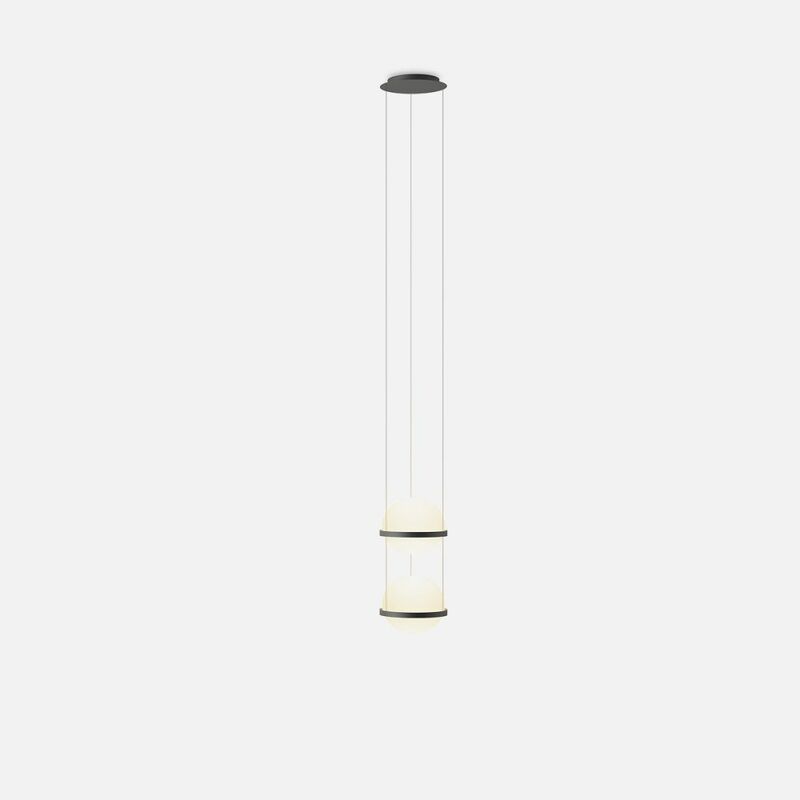 ibia presents a pendant lamp. It includes two sizes of hand blown glass sphere joined together by a strap and aluminum structures. The intensity of the LED light source is dimmable.